In this episode we discuss How To Get Started In Real Estate For Less Than $100. If you want to SERIOUSLY get into full time real estate and change your financial future…DO YOURSELF A FAVOR… skip the seminars, forget the home study courses, don’t attend another webinar. Listen to this podcast and TAKE ACTION. If you want to become a real estate investor, you will never “learn everything you need to know” and “the time will never be right”. The time is RIGHT NOW and its time to do everything you need to do to get in front of buyers, sellers and lenders of real estate and begin matching them up for fun and profit. Don’t let the overwhelm or expense hold you back from getting into real estate. Many of todays investors, myself and partner included, got into the business on a shoestring budget, without knowing everything…and spent a fortune in the process. Some of it helped. Much of it was rinse-repeat information. The principles of real estate will never change. They have worked long before you and I roamed these streets LOL (you’ll get it when you listen). If you want to get in real estate, you need to put an immediate line of contact between you and the markets most probable and likely sellers. If you want to stay in real estate, you need to create a healthy blend of the markets most active buyers and lenders. Listen in and take massive action. THIS WORKS. THIS WAS MADE FOR YOU. -Why You Should Go Deep Not Wide. Need help getting private money ramped up in your business? Book your free 30 minute One-On-One Strategy Session with Erik. 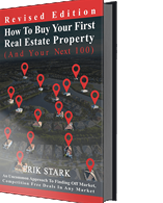 Previous PostPrevious How To Achieve Breakthrough In Your Real Estate Business. Next PostNext The Horsepower Of Leverage With Erik Stark.